Successfully Added Mira Ball - 360 Degree Advertising Message Globe to your Shopping Cart. 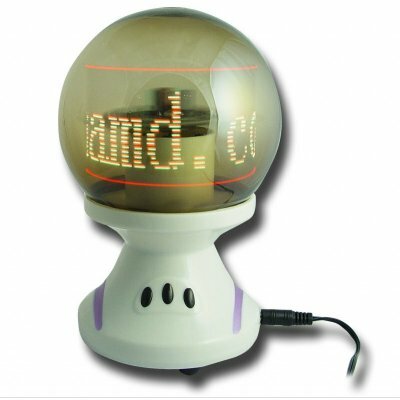 Gadget Mira Ball for continuously displaying text and pictures around the 360 degree globe. This is a great gadget for both advertisers and for people looking to give a unique and cool gift. Pictures, cartoons and text will be displayed with low noise as the electric motor drives the high brightness linear array LED lamps into high speed rotation and all the while the video text stored in the ball seems to be played out in a 360 deree rolling mode because of the inertia of people's vision. Be unique in your room decoration, or in your advertising with Chinavasions low wholesale priced Mira Message Globe, available with no MOQ and a one year warranty..